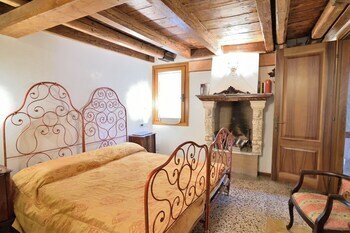 Located in Venice (Castello), this apartment is within a 10-minute walk of St. Mark's Basilica and Bridge of Sighs. A stay at Be Italian Bovio Flats places you in the heart of Naples, within a 15-minute walk of Santa Chiara and Castel Nuovo. With a stay at this apartment, you'll be centrally located in Milan, just a 3-minute walk from Pinacoteca di Brera and 7 minutes by foot from Teatro alla Scala. With a stay at Al Borgo Medievale in Castelmola, you'll be within a 15-minute drive of Greek Theatre and Church of San Nicolo di Bari.